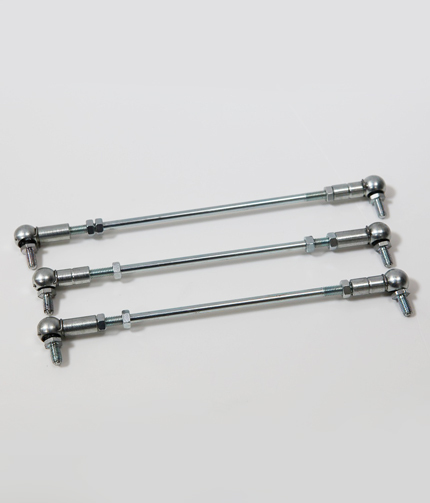 Worn throttle rods are very often the cause of poor engine running and difficulty in setting them up to run properly. Many engines have improvised rods that make accurate adjustment impossible. Our three piece (2 x carburetor and 1 x throttle rod) kit is an exact reproduction of the originals with left and right hand threads for ease of adjustment.